Brain tumours kill more people aged under 40 than any other cancer, yet there have been no new treatments for more than a decade. What’s more, there are still none in the pipeline. 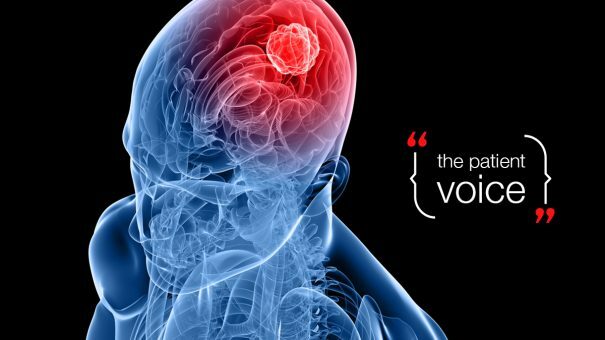 As part of pharmaphorum’s Listening to the Patient Voice series, we talk to the Brain Tumour Charity about tackling unmet need, redesigning clinical trials and the Tessa Jowell effect. Despite huge advances in the way we treat and tackle cancer, the average five-year survival rate brain cancer is stuck at under 30%. And that shows no signs of improving anytime soon. According to an Institute of Cancer Research report published in December, From Patent to Patient, there were no new indications for brain cancer treatments between 2000 and 2016. “That’s hugely concerning,” says Cameron Miller, head of policy and public affairs at the charity. “It means that as a community, not only are we behind the curve, but we are behind the curve with nothing new coming through. Around 11,000 primary brain tumours are diagnosed in the UK each year, compared to around 55,000 cases of breast cancer or 47,000 prostate cancers. Becky Birch, head of research at the advocacy group, explains that these are relatively small numbers, particularly when all the different brain tumour types were considered. “One of the biggest problems we have is finding drugs that can cross the blood-brain barrier, but on top of that it’s just not an attractive space to develop drugs in,” she says. That’s not to say the quest for better treatments should be abandoned. Rather, researchers should think about collaborating and fundamentally rethink how they “do” trials. Becky says: “It’s so expensive to get a drug to market, but when something fails, we need to try to understand why, not just throw the baby out with the bath water. Can we tweak failed compounds slightly to make them fit for purpose? Collaboration across countries would also help by increasing the overall number of people participating in a trial – something the charity is encouraging through its grant awards criteria. It has also contributed funding for a new adaptive trial, designed to accelerate access to future drugs. The Tessa Jowell BRAIN-MATRIX, named in honour of the late politician and campaigner, will allow new treatments to be added as soon as they are ready to be tested. There is still a long way to go, explained Cameron, but patient advocacy was driving change. All stakeholders need to work together to tackle these huge unmet needs, from finding a cure to developing ways to help improve quality of life. Cameron adds: “All parties need to listen carefully to one another, to fully appreciate the challenges. “Patient groups need to listen to the pharmaceutical industry, pharma need to listen to patients. Once you can understand the problem in its entirety, then you can start to look for solutions. Long term effects, such as the visual and cognitive problems caused by aggressive brain surgery as a child, can have a huge impact on quality of life. Many children who “recover” from low-grade tumours are never able to live independently as adults. Ultimately, pharma has a lot to gain from listening to such concerns and working on ways to help, said Cameron. “I don’t think a profit motive is a wholly bad thing. If something can benefit patients then it doesn’t matter if companies are gaining from it as well,” he said. Sadly, there is currently nothing to shout about in terms of new brain tumour treatments, but that isn’t to say there isn’t hope, he adds.